For many organizations, outsourcing network security services appears to be a logical choice. You avoid hardware, licensing, and maintenance costs; you benefit from around-the-clock security monitoring and management from dedicated security experts; and you free up your in-house IT staff to pursue activities core to your business mission. 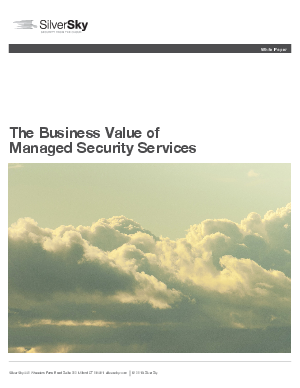 Yet many business decision makers dismiss the managed security service option out of hand, fearing the loss of control over the network.